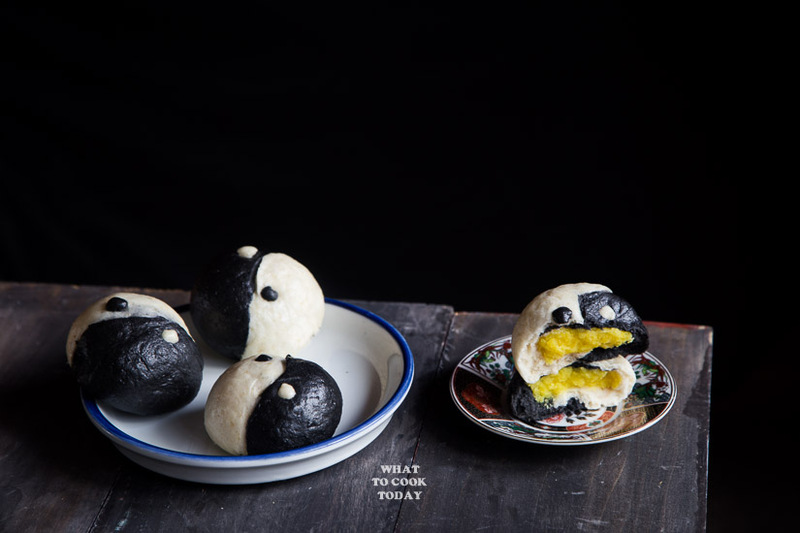 Yin Yang Sweet Mung Bean Paste Steamed Buns – Soft fluffy steamed buns stuffed with homemade sweet mung bean paste in a fun Yin Yang presentation. I got an email from school about a uniform sale and back to school stuff. Year in and out and I seriously do not know how the end of summer is almost upon us now. We truly have been enjoying our summer so far. The kids didn’t go to any summer camps, which I’m glad they don’t have to because they could stay with me and we got to do so many things together. We listed out a few things that we wanted to do this summer. Learning how to bike and to swim was on the list for the girl. She learned to bike without training wheels in less than a day. I thought it’s going to take the entire summer to do that LOL. You gotta see the smug on her face for that accomplishment 🙂 She was happy that she knew how to swim and other basic survival skills too. I was talking to a friend about wanting to do new things for myself too. Wanting to be a bit more adventurous. So, we went for a little kayaking and had a ride on a pontoon boat. The kayaking was a bit scary for me at first because I had a 3-year old in front of me (which I probably shouldn’t to begin with) and he couldn’t stop moving and I thought we gonna toppled. But alas we didn’t. Will I go kayak again? I will but without a 3-year old!!!! 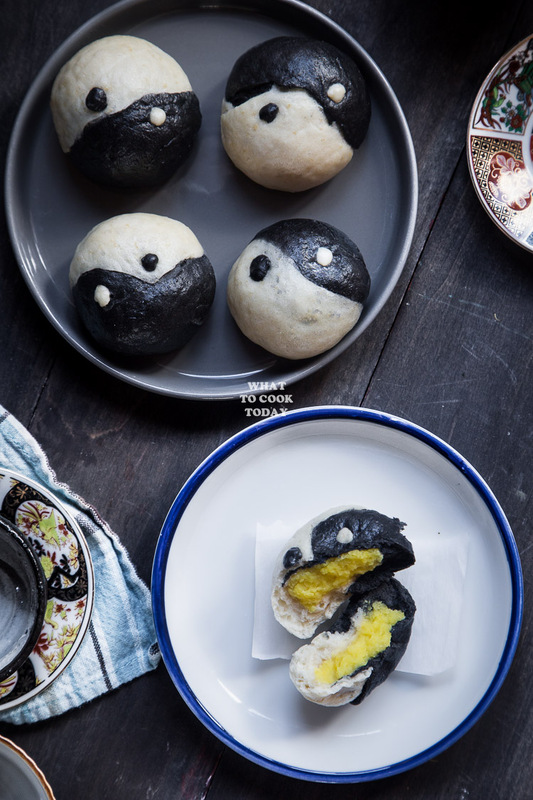 Soft fluffy steamed buns stuffed with homemade sweet mung bean paste in a fun Yin Yang presentation. Work with two pieces at a time and cover the rest to prevent drying. 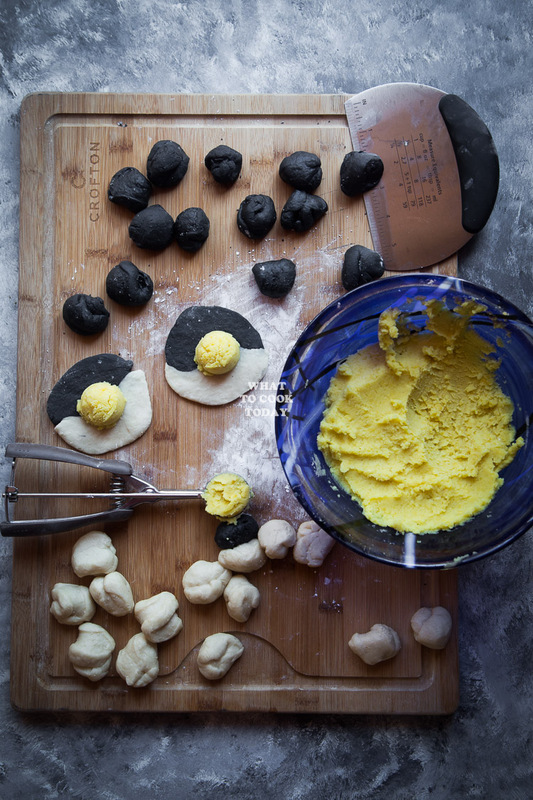 Place both doughs next to each other and then flatten the dough with your palm and use a small rolling pin to roll into a circle about 4 inches in diameter. 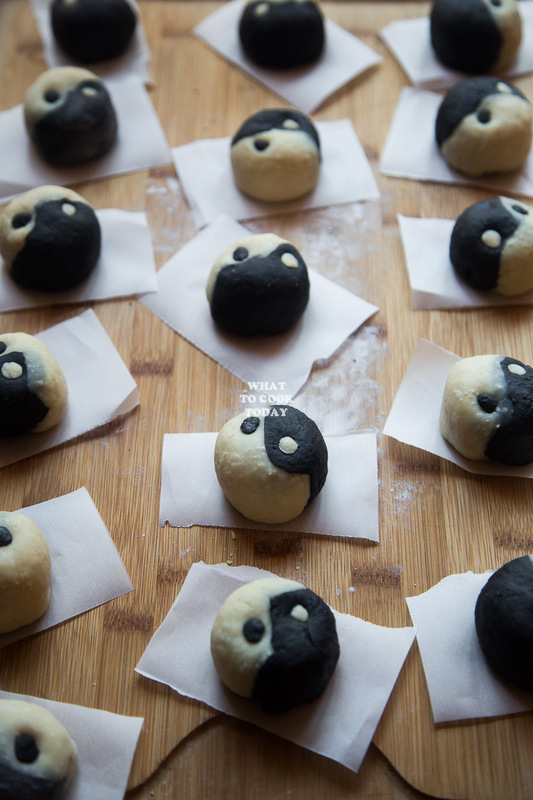 So half will be white and the other half will be black. 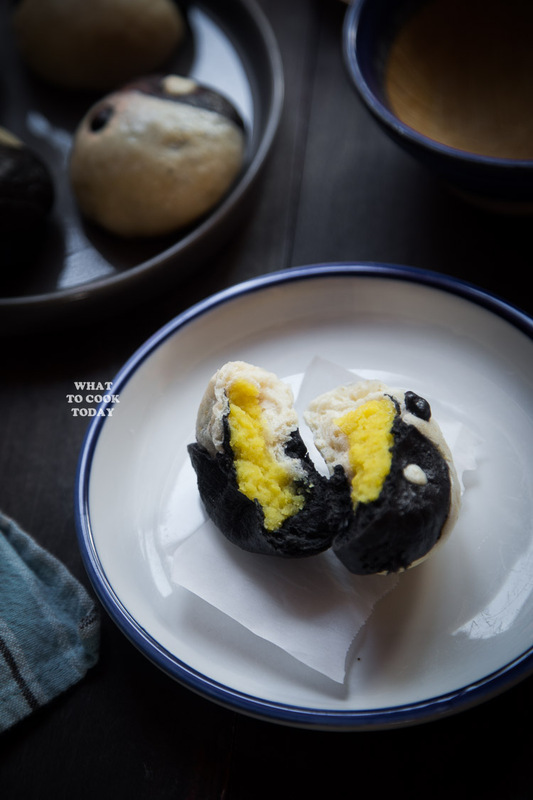 Divide the mung bean paste into 16 equal balls or you can use a cookie scoop to scoop the filling on the center of the wrapper and gather all the sides to the middle and pinch to seal. Place it on a parchment paper seam side down. Continue with the rest. Pinch a very tiny dots from the dough you reserved earlier and place one on a black portion and the other on the white portion. Bring the water in a steamer to a rolling boil. Wrap the lid with a cloth. 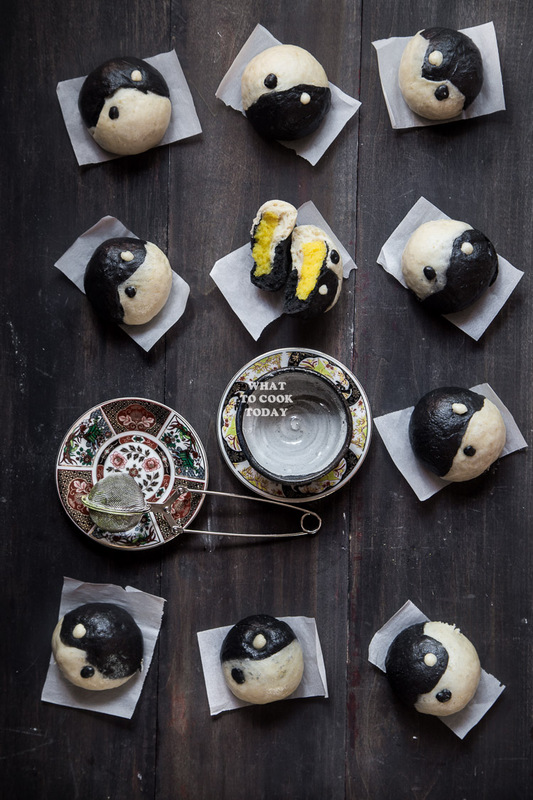 This will prevent water dripping from the lid and too much steam will make the bao has burn spots. Place some of the buns on the steamer and lower the heat and steam on medium-low heat for about 10 minutes. I usually made this in a big batch and store the rest by placing them in a freezer bag. They can be stored up to 1 month. Place them on a baking sheet, not touching each other. Let them freeze for about 1 hour and then transfer to zip lock bag. 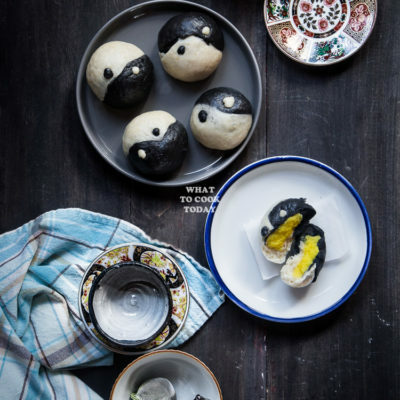 You can increase the amount of sugar and oil in the mung bean paste filling. I half the amount of sugar in the recipe as I don't want it to be too sweet and if you add more oil, it should be even smoother. It's your call! Omg these are too cute!! 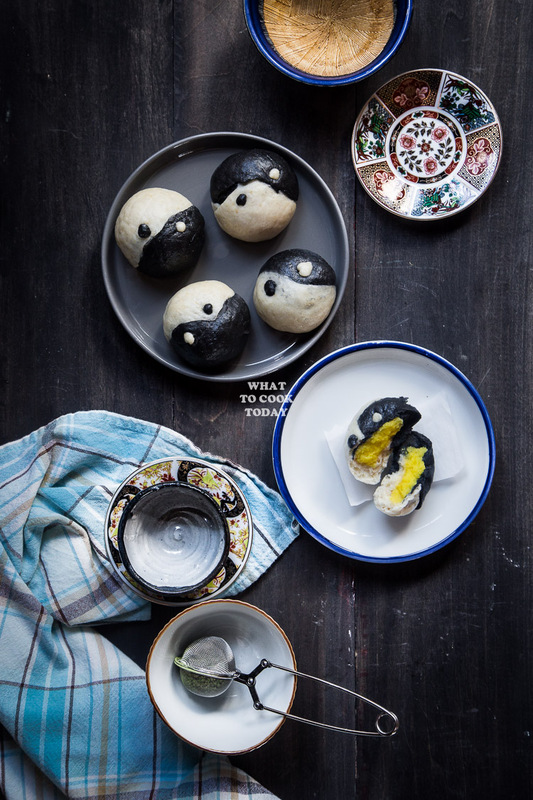 Mung bean cakes and buns were my absolute favorite growing up! 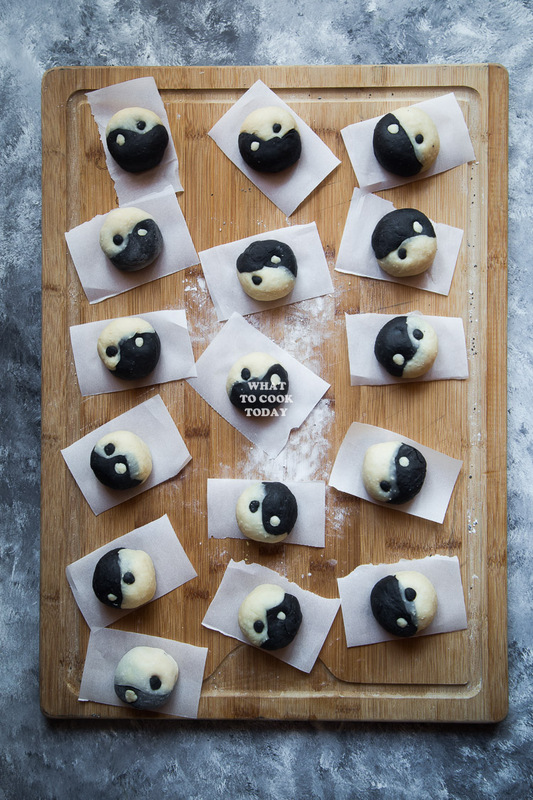 I’m super excited to make these myself! Hi Christina, me too. My childhood favorite things are buns and mung beans !! Oh my word Marv this is just absolutely precious!!! Ugh! I cannot wait to try it myself… i love excuses to use more moong! Thank you Tina. You are too kind. I love moong too!